After receiving such incredible feedback from the FREE 5 Day Reset last week, I am honored and proud to introduce you to my 30 Day Reset. 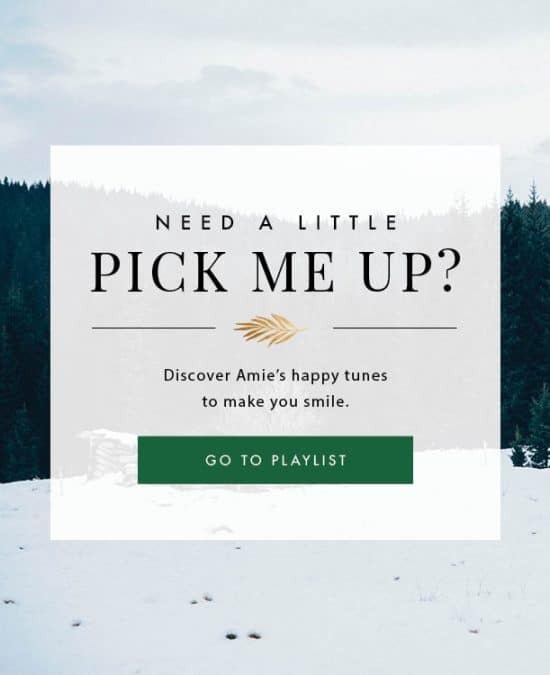 This is a program I’ve been working on throughout the last 6 months because I wanted to create a one-stop shop for you to feel your best and eat clean. This Reset is not only about relief from symptoms; it brings you deeper to understand how to support your body, fight inflammation and feel your best. This is exactly what my clients repeatedly tell me after doing this Reset for 30 Days. They go from being just “okay” or fatigued or bloated to experiencing a state of optimal weight, peace of mind and vital health. Most people don’t know how awful they felt for so long until they actual start to feel better. Most of us don’t recognize the little things like headaches, fatigue, bloating, IBS, heart burn, acid reflux, arthritis, joint/muscle pain, allergies and other symptoms. But those aren’t so little; they’re actually early indicators of impending diseases and chronic health issues. These symptoms need to be addressed before they manifest into something much larger in your body. One in three American has some type of chronic disease- and a percentage of everyone else isn’t taking care of themselves so they’re headed that route, as well. I began to wonder what led people to be unwell and what was really going on in the process to getting their disease and illness. What were the real causes and how did they start? I knew I would be able to help prevent disease in the first place by walking my clients (and you) through a fundamental reset that allows your body to get back into balance. I suffered for far too long with my health and felt like I was going in circles with what to eat and what not to eat. Everyone had conflicting advice for me and my head was spinning for many years until I took charge of my health, researched for over a decade and dove head first into understanding how to heal the body. I had to figure all of this out for myself because I couldn’t find anything or anyone that could help me and I spent hundreds of thousands of dollars trying to get relief. Because of that experience, I want to help you. I created this 30 Day Reset program so you don’t have to go through the same trial and error that I had to go through. I tried everything: vegan, vegetarian, paleo, low carb, high fat, low fat, Atkins, etc…the list goes on and nothing seemed to work for me. And it’s not like I wasn’t trying: I was doing everything right, however, there was still something going on that no one could figure out. I saw hundreds of doctors and tried hundreds of supplements and protocols and none of them really worked. At all. They maybe helped a little bit but I never felt like myself and thought it was normal to feel tired and run down. I was ‘surviving’ instead of thriving and barely made it through my day dragging my feet. It wasn’t until I let go of the conventional model of medicine, stopped reading what everyone else was saying to eat and started listening to myself that I started to heal. I found the best ways to support the body that aren’t full of gimmicks. Because I’ve done my own research-day and night for a decade, I bring a fresh approach to wellness that no one else is addressing. I’ve worked with dozens of the best practitioners in the world. I learned something from each of them and combined what I learned, what worked for me/my clients and added in my own research on top of all of that to bring you this 30 Day Reset. If you want all of the information I included here without purchasing this 30 Day Reset, you’ll end up spending tens of thousand dollars on doctors and nutritionists that may still be looking at the surface symptoms instead of getting to the root cause. You have to go deeper than just the symptoms to truly feel better long-term. Most of us don’t feel as well as we could feel, which is why I created this Rest to help YOU understand how to feed your body and take care of it. How can you address problems that you don’t even know that you have? Easy. You start to ease the body back into its balanced state so that your mitochondria have the energy, proper nutrition and information they need to know what to do. 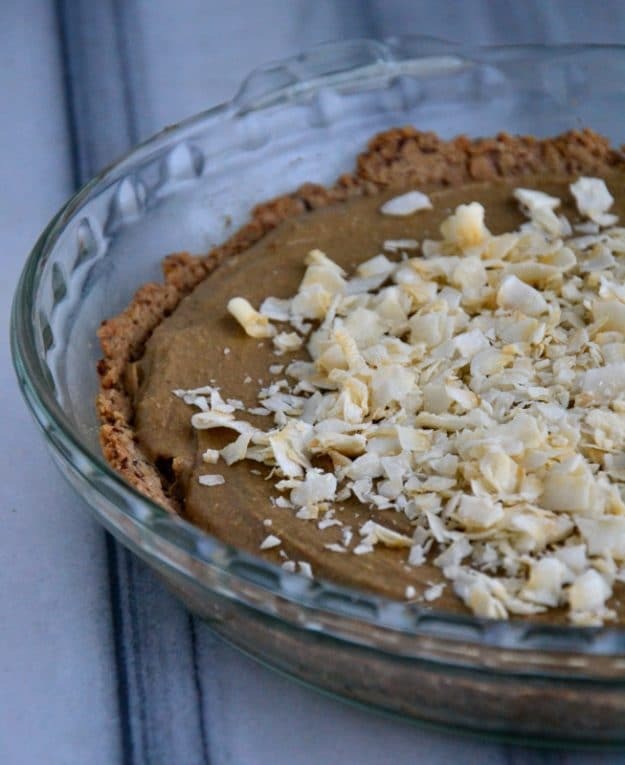 Are you tired of trying to figure out what to eat every single day? Feeling exhausted, bloated and confused trying to figure out what foods are healthy and anti-inflammatory despite all the conflicting advice swarming around? 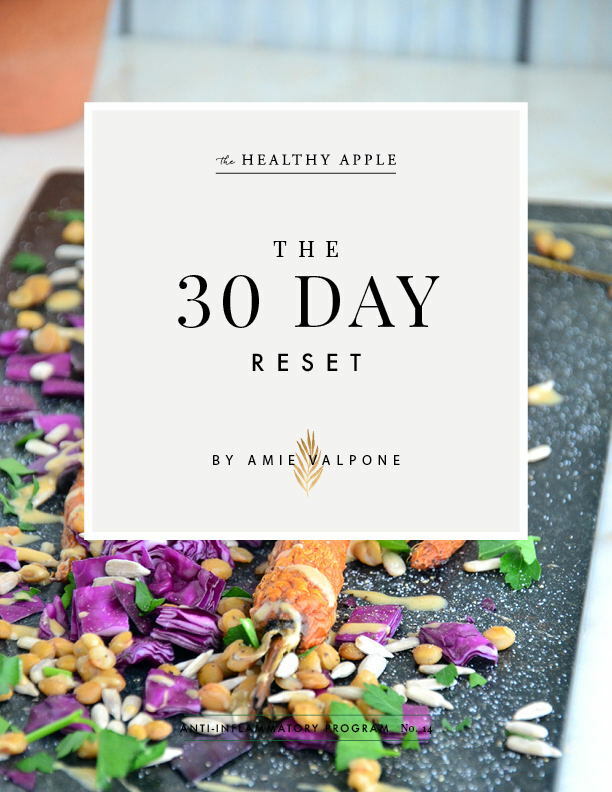 This 30 Day Reset will help you get your energy back, help you sleep better, ease your digestion and show you how easy it can be to make delicious-simple meals that fight inflammation and get you feeling your best. If you’re anything like me, you’ve tried everything and nothing works. It’s frustrating and you’re hesitant to try something new, right? This Reset is for anyone who wants to feel better. During my journey to health, I realized that you won’t get anywhere if you’re just waiting for someone to come along and fix you. A doctor isn’t going to fix you because those symptoms he/she covers up, will come back in another way in the future. You can’t hold a cork under water without it bobbing back up. That’s what will happen to your symptoms; they’ll come back up after they’re suppressed from a pill- just like the cork comes back up. This Reset is about committing to yourself and making a change in your life so that you can start to enjoy life. You’ll have a password protected log in to see the videos and hear the audio so that no one else can access any of the videos, meditations or visualization. Also, you’ll have access to these videos and audio clips forever. There is no deadline to finish this program; you can come back and watch these videos in 3 years if you’d like to and you can listen to the meditation and visualization every day forever. The Reset can easily be printed out so that you can use it in your kitchen while you are cooking, if desired. I am also available via email on my Contact Page so you can email me with any questions and I will get back to you directly to help address anything you need during this 30 Day Reset. Part III: What is Detox? How Do You Know if Your Gut is Healthy or Not? Reset Recipes with Prep and How-To’s and Tips for Cooking Gluten-Free Grains, Roasting Veggies, Massaging Kale, How to Make Your Own Salad Dressing, How to Make the Best Overnight Oats, How to Make the Best Smoothies, etc. This Reset also includes a shopping list for each week. You want to eat food that is healthy and actually tastes delicious without counting points or calories. You want to lower your inflammation and symptoms that are causing you to feel bloated, foggy-brained or just lethargic. You want more energy and to feel balanced instead of fatigued and frazzled. You want to end the cycle of cravings for sugar and unhealthy foods. You’re ready to make changes that will last. All credit cards are accepted and we take credit card privacy and your email privacy very seriously. We will never share your email information, name or credit card information. This Reset is only $49 until January 15th and then the price will increase for all purchases after January 15th, 2018.
this program sounds great but I would like to see samples of meals to see if I can follow it. The price is high to try something that I may be able to follow. I use FODMAP guidelines and need to especially avoid lactose, onions and garlic.